The new BMW X4 is not bringing out just a fresh design on the market, it’s also bringing out new features that aren’t available on other cars just yet. The most interesting one is definitely the Activity Key, a smaller version of the traditional key fob cars usually come with. Since some people complained about how big the Display Key is, despite bringing impressive features to the table, BMW decided to take their cries into account and is now introducing this scaled down alternative. The Activity Key is a simple key fob reduced to half the size of a conventional one. It’s so small you can wearing as a clip-on or on a bracelet around your wrist. It allows you to use your car as well, since most models are fitted with Comfort Access which allows you to lock and unlock your car by simply touching the handle. As the ‘experts’ show in the clip below, the name of this new optional feature wasn’t chosen at random. The Sports Activity Coupe segment was invented by BMW and they want you to know that the new X4 is staying true to all three of those words. Therefore, the new model is presented to the media and customers as a great alternative if you’re a truly active person. For those going swimming or surfing, the activity key is perfect because it’s water resistant and compact in size, allowing you to go enjoy your time in the water without any sort of issues. 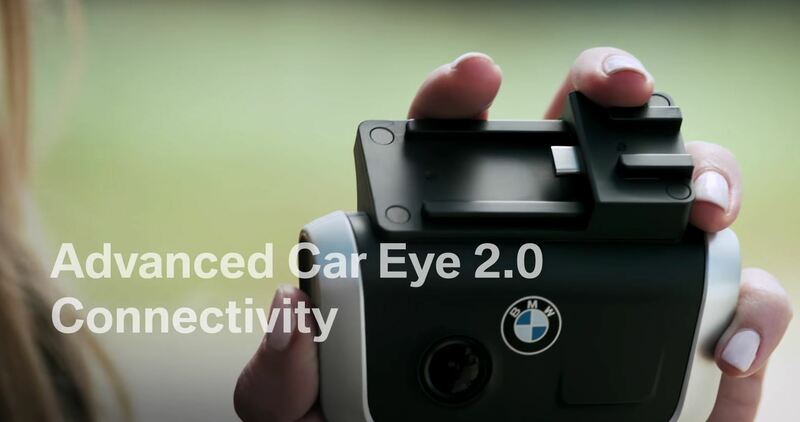 Furthermore, with the Advanced Car Eye 2.0, you can watch your car from a distance, using your phone. This is basically a camera that can be installed both up front or at the back of the car, watching everything that’s happening around it. It is also providing a live feed to your smartphone and will alert you if someone hits your car or tries to break in. Check them both out in the video below.